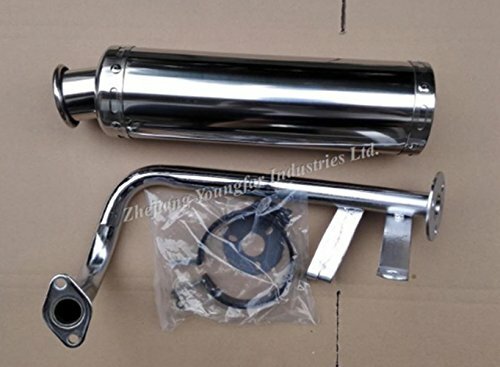 scooter Moped 4 stroke GY6 50 GY6-80 139QMB Performance Exhaust Pipe/Muffler/Stainless Steel/88x300mm by scooter at Kerinci. MPN: Scooter. Hurry! Limited time offer. Offer valid only while supplies last. Application: This Kit can used on all Chinese GY6-50/60/80 (139QMB) air-cooling 4 stroke scooters.